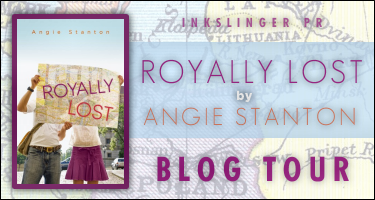 Author Interview with Angie Stanton Royally Lost Blog Tour Stop! ~ Love.Life.Read. Author Interview with Angie Stanton Royally Lost Blog Tour Stop! 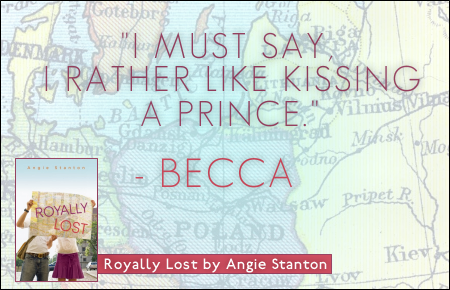 I am thrilled today to be hosting Angie Stanton the fabulous author of Royally Lost, hitting stores on Tuesday, May 6th! Just in time for summer, this young adult book is a delightful read that is a trip around the world without having to leave the comforts of your own home. Below you will find information out about the book, my interview with Ms. Stanton, find out how you can purchase an autograph copy and a your chance to enter $20 Amazon Gift card! 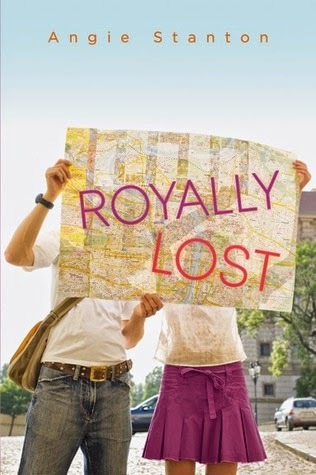 1) Please give us just 5 words to describe Royally Lost. Funny, sweet, exciting, and romantic. 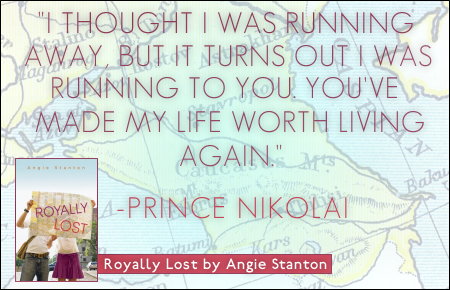 2) In Royally Lost, Nikolai and Becca meet at a time in their lives when they are trying to figure out life. What made you want to write about this time in life? The time right after high school graduation is so filled with anticipation and nervousness. We want to be adults and make all our own decisions, but it’s also scary to venture down new roads. There are so many emotions. It’s an exciting time of life to write about. 3) I could not help but think of Prince and Me, the movie starring Julia Stiles when reading this book. 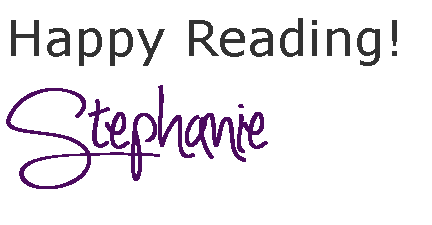 What inspired you to write about a European Prince and an American girl meeting? I was taking a European vacation on a riverboat cruise with my husband. We saw all the old castle ruins in the brochures and my imagination took off. I’ve been to every city visited in the book and most of the sites. I made up the hostels, but I know they’re there somewhere. 4) Would you mind sharing a bit about your writing process? Do you like to outline your novels? Do you start with characters or a plot idea first? I start with the story idea first and then create a loose plot. That gives me a good idea of where I’m going as I write. Often times I veer from the plan, which is always great. Also, having a general idea how the book ends helps, too. 5) For readers who have not read your books before, can you give them your elevator speech to describe your writing style? That’s a funny question, because I really don’t know. :) Most of my books are written from both the female and male’s point of view. I think it’s fun to get inside of the guys head and know what they’re thinking. My editor calls me a storyteller. I guess I’d describe my writing as open and honest, allowing the reader to feel they are right there with the characters. 6) If you could take a vacation anywhere in the world where would you go and what time of the year would you travel? The Galapagos Islands! It’s #1 on my bucket list, and because it’s near the equator, I don’t think it matters when you go. The one thing that’s been holding me back, is a report I heard on the news a year or so ago saying the government was bombing the islands with poison because of the extreme rat problem. That was a deal breaker. 7) If you could meet one person dead or alive, who would you want to meet and why? My great great grandfather. I started doing genealogy a couple years ago. There’s very little info on this guy other than he came over from Ireland around 1850 and died at the age of 50. I think he had a very rough life. I’d like him to know he’s remembered. 8) Now that Royally Lost is being published on Tuesday [May 6], what is up next for you? I’ll be working on edits for the third book in the Jamieson Collection. It’s titled Under the Spotlight and is about the third brother, Garrett Jamieson. Readers love to hate Garrett, and I think they’ll enjoy watching him finally get his due. Angie is the author of six books including Royally Lost, Rock and a Hard Place, and Snapshot. She graduated with a Journalism degree from the University of Wisconsin, and is a proud double finalist of the National Readers Choice Awards forLove 'em or Leave 'em. Up for grabs is a $20 Amazon gift card. Good luck! What are you going to get if you win it? 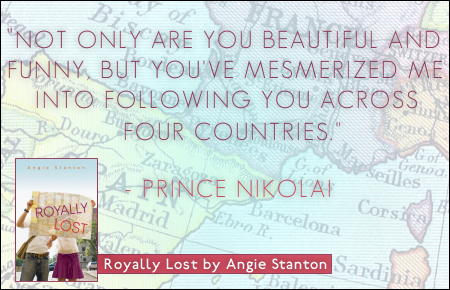 Follow along more of the Royally Lost Blog Tour. For the schedule, click here.